Home/Blog, Essential Oil Info, Natural Living/Have a better night’s sleep with dōTERRA! It doesn’t take much for me to have a disturbed night’s sleep! But I now have more good nights than bad nights now and that means my quality of life has improved. 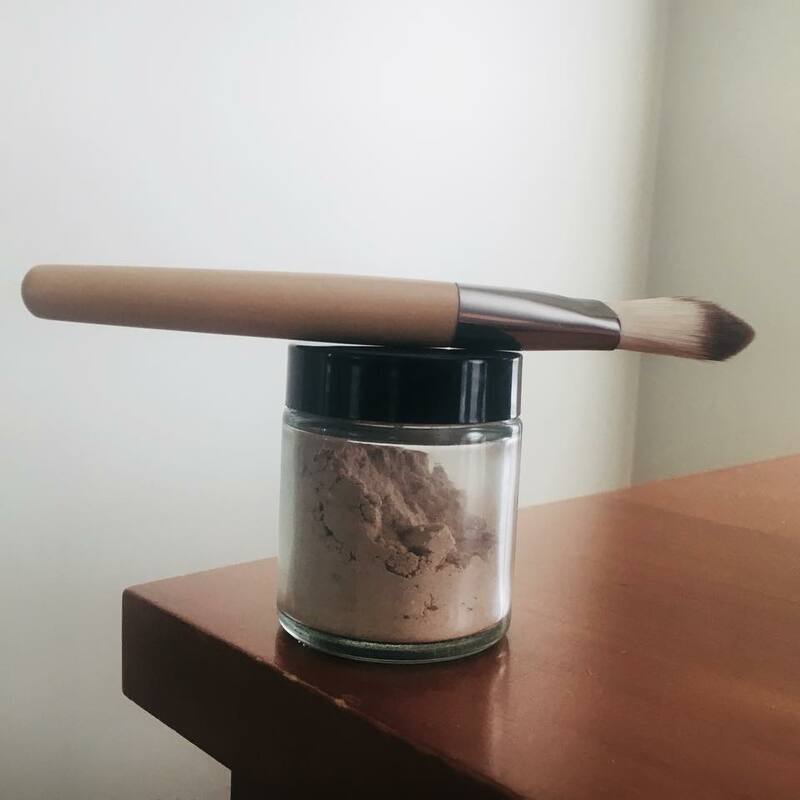 While I can’t promise you a restful night’s sleep EVERY single night there are natural tools you can use to support your body. 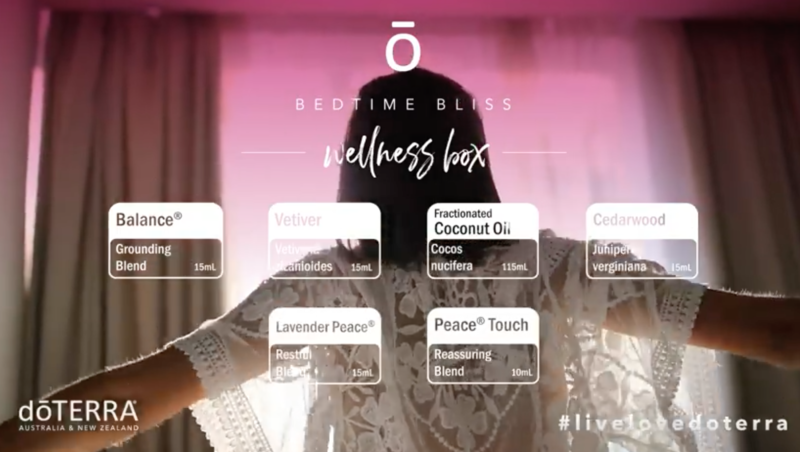 There are essential oils that can help and there they are all part of the New Sleep Box released by dōTERRA this month for the NZ and AU market. The products are sheer genius and so even if you are not in our market, I can’t recommend these enough. This amazing set of oils starts with Peace. Peace is the Reassuring Blend and in the Bedtime Bliss box this blend is offered in the Touch version. This is a pre-diluted roller ball, which is perfect for on the go. Peace blend will help during the day because as we all know, a stressful day often means a broken night’s sleep. So the calmer and more peaceful your day is the better your chances are of having a restful night. The Peace blend is designed to support nervousness, restlessness and is very calming. Use the Touch roller ball on your wrists and the insides of your elbows throughout the day. We need to start preparing our bodies for sleep hours before bedtime. The next oil blend in the Bedtime Bliss box is Balance (Grounding blend). Use Balance in your diffuser during the evening in your living space. The oils in this blend are calming and grounding, helping you put aside the busyness of the day. I would pair Balance with Cedarwood in your diffuser. Cedarwood is a good addition to the Blissful Sleep box as it’s calming, good for anxious feelings and helps with sleep. One of the best ways to prepare for bed is to have a hot bath. This is not possible for every person but if you can it will help your body relax and unwind. The next oil blend in the Blissful Sleep Box is Lavender Peace which is a perfect addition to your bath. Lavender Peace is called the Restful blend and is formulated specifically for sleep. Add a few drops of Lavender Peace to a handful of Epsom salts and use in the bath. Epsom salts are a natural detoxing agent and will also help the essential oils distribute through the water. Use your diffuser in your bedroom and start it up about half an hour before your want to go to bed. Use 6 drops of Lavender Peace and close the door of the bedroom. Breathing in the calming aromatic constituents in Lavender Peace helps to signal to your brain that it’s time to rest and sleep. You could also add Cedarwood or any of the other oils in the diffuser mix, but I usually use Lavender Peace on it’s own. It’s formulated for sleep and doesn’t really need to be boosted with other oils. The Bedtime Bliss box has a bottle of fractionated coconut oil. This is so that you can use the oils in the box on your skin by diluting them. The hero of the Bedtime Bliss box is Vetiver. This gorgeous earthy smelling oil is a natural sedative. Need I say more! Make up a 10ml rollerball with 10 drops of Vetiver and 5 drops of Cedarwood as a bed time roller ball. Use this roller ball on your big toes as this will help your mind to stop racing (Chinese reflexology). If you feel like your mind is on a hamster wheel at night, you will benefit from applying the roller ball to your big toes! Use the Lavender Peace and Cedarwood roller ball on your wrists, spine and pillow. If you wake in the night then use the same roller ball on your big toes again. While these oils and products are part of the Bedtime Bliss box there’s nothing stopping you ordering them as and when you want to! If you want to get your hands on your own bedtime oils and join Oiltribe go here. Click on “Join & Save” and select the “WHOLESALE Customer” option. We’d love to have you in the tribe. You will be well supported through our community and have access to learning & resources.